Recording the commemorative landscape of the AONB for future generations. A War Memorial is any commemorative object which is dedicated to either individuals or groups, named or unnamed, who have died in battle or as a direct result thereof. Under this definition we have weeded out a few niggles and avoided having to look around whole graveyards for a general who died having choked on a larger than average potato at his 78th birthday party. The definition also means that we miss out a few important places in the survey, as they cannot be classed as war memorials, but Monuments. 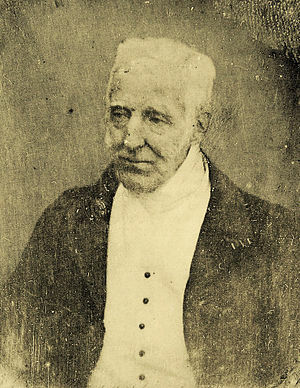 A daguerreotype portrait of the aged Arthur Wellesley, 1st Duke of Wellington taken in 1844. 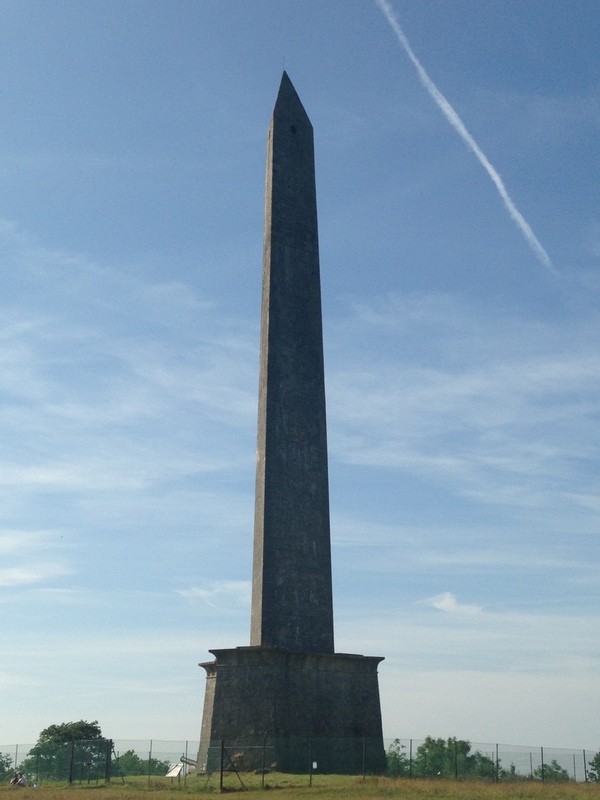 The most famous of these monuments on the Blackdown Hills is The Wellington Monument. Dedicated to the memory of (debatably) the most famous man in 19th century British warfare, the Wellington monument is exactly that: a Monument. The Duke of Wellington served all over the world throughout his career, especially in India, Spain and most famously at Waterloo in 1815. He was also lucky enough to survive the experience, come back, become prime minister and die at the ripe old age of 83. The people of Wellington, rightly being proud of their namesake, errected a 53m (175ft) high obelisk to him, but under this definition it is not a war memorial. One of the reasons this project is important is because it records the names of those who died in conflict, most of whom remain unknown to any and all passers by. There are authorities on everyday subjects, but very few authorities on everyday people. Whilst it is not the aim of this project to research the lives of the people who are named on the memorials, it is one of our aims to enable people today to have access to information about those everyday working men who died in the conflicts of yesteryear. We hope that this project will lead in to other projects and that the data we collect will inspire and enable others to research relations listed on Blackdown Hills memorials. Fieldwork is now finished, and by the end of September we hope to release an information leaflet to parishes on the Blackdowns and any interested Museums in the area. We are also working on a website to host all the data we have gathered and to give you further information about any follow-up projects we may undertake in the future. Watch this space! 53m tall, shaped like a bayonet, one of Britain’s finest Monuments. Amidst the concerns regarding the protection and perpetuity of war memorials in the UK, there are bodies dedicated to their maintenance and longevity. The War Memorials Trust distributes grants for the upkeep of memorials, administering monies provided by English Heritage and the Wolfson Foundation. These are small grants up to £2,500 or large grants up to £30,000. To date they have helped maintain hundreds of memorials around the UK. A memorial in the Blackdown Hills has been fortunate to receive money from this scheme. In 2010 parishioners in Membury applied for a small grant to repair their village memorial which had suffered severe frost damage to the steps. They were successful and received a grant of £1,380 which funded repairs to the steps using the local Tolcis stone. As part of our survey we record the condition of the memorials we catalogue. Encouragingly most of those so far encountered are in a good condition, especially the interior ones as to be expected. There are a few exterior ones however that are becoming very weathered and we will be forwarding a list of those most in need of attention to the War Memorials Trust. Thank you to Ms Robson and Mr Tennant who told us about the works at Membury memorial. 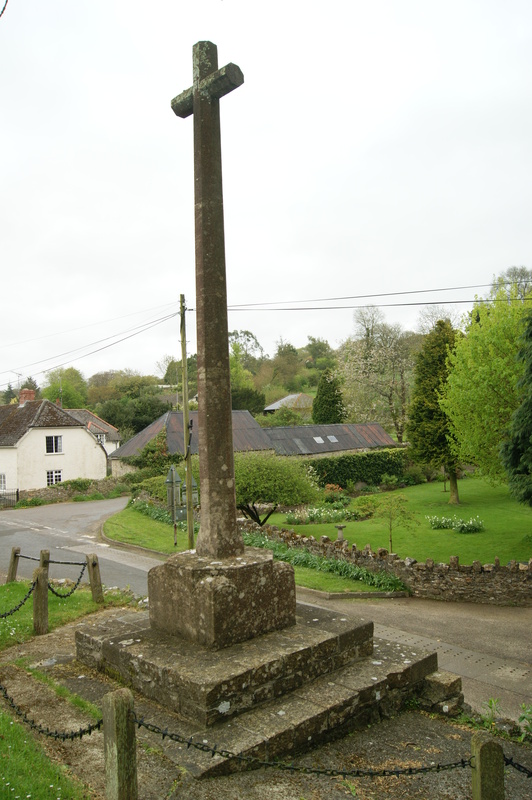 Blackdown Hills War Memorials Project aims to catalogue all war memorials inside the Blackdown Hills AONB to create a searchable database for the use of anyone, anywhere. It is our hope that people with a connection to the area, past or present, can browse our records to find a specific person or memorial along with its location. The project is run by Andrew Read and Steven Trick for the Hemyock History and Archiving Association. Follow us here on WordPress to find out how we are progressing with our fieldwork, read and see regular updates from Andy and Steve, and hear about war memorial news – it’s more talked about than you think!